How to ascend your heroes? To be able to ascend your heroes, your hero should equipped all 6 gears. Gears can be found/loot in certain stages or chapters. Some gears needs prerequisite for them to be craft but don't worry, those prerequisites can be obtain the same as with gears! What are the benefits on being ascend? Heroes increases your Stats, Stat Growth, Max HP, Physical Attack, Magic Power, Armor, Magic Resistance, Physical Crit and Energy Regen. 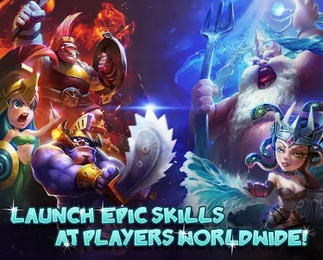 You may obtain new skills for your heroes and up to 4 skills per each heroes. If you are experiencing difficulties in your current normal stage, try lower elite stages and earn items, coins and gems (quest rewards). Just comeback to your current normal stage if you already enhance your heroes either through level up, new gears or ascending. Fortunately you can do it manually! To do it manually, just use search function in your hex editor app, enter your current Coins and Gems value in Gods Rush and search for it (choose DWORD) . If you see a large list of results, you need to change the value of current Coins and Gems value in Gods Rush by either consuming them or adding them. Go back to the list and find your new current Coins and Gems value in Gods Rush to the large list and finally you can edit the value.